Today, we're incredibly excited to announce the soft-launch of Convene Manager 2.0! In the past 9 months we've completely re-written Convene's content management system to make it easier to manage your events. For more information, please read on or sign up now to start building your next event! 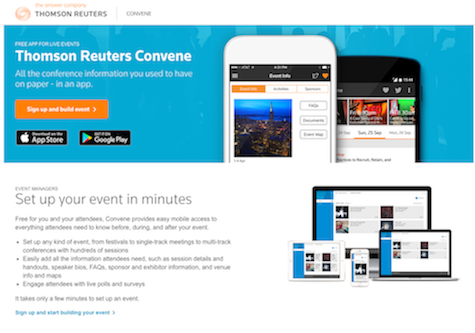 For mid-to-late September (and beyond) events, start building them now in Convene Manager! "Soft Launch" is just our way of saying that we'll be tuning the system over the next 2 weeks and you probably won't notice a thing. Quality is always top of mind for us. Rest assured that Manager 2.0 has been through an exhaustive quality assurance process and your data is safe. Lastly, the Convene mobile apps (iOS/Android) for Manager 2.0 will go live the week of September 6th. We'll send another announcement when they are ready.